Fujikura splicers have been around from the start. We were the start. With every new model of splicer we engineer, we only get better. You have our word that our splicers will do what we say they’ll do. Our numbers are accurate and honest. We don’t have to manipulate numbers to sell splicers – we just make great splicers. Our splicers have earned a reputation as being the best and that’s not just luck. We make great splicers. We make dependable splicers... Even after being dropped a time or two. View all Fujikura Fusion Splicers or request a demo by filling out the form on the right. 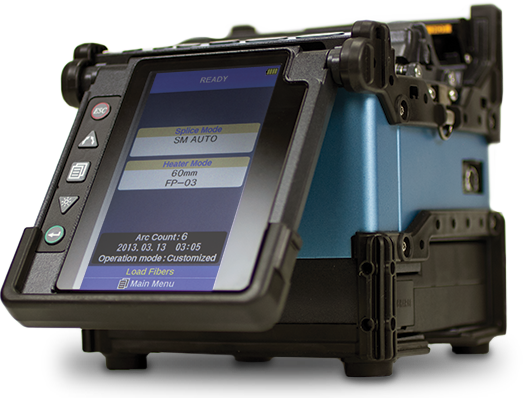 Schedule a demo and witness the Fujikura splicer performing to its industry leading specifications. Oh yeah, we'll drop before we splice.